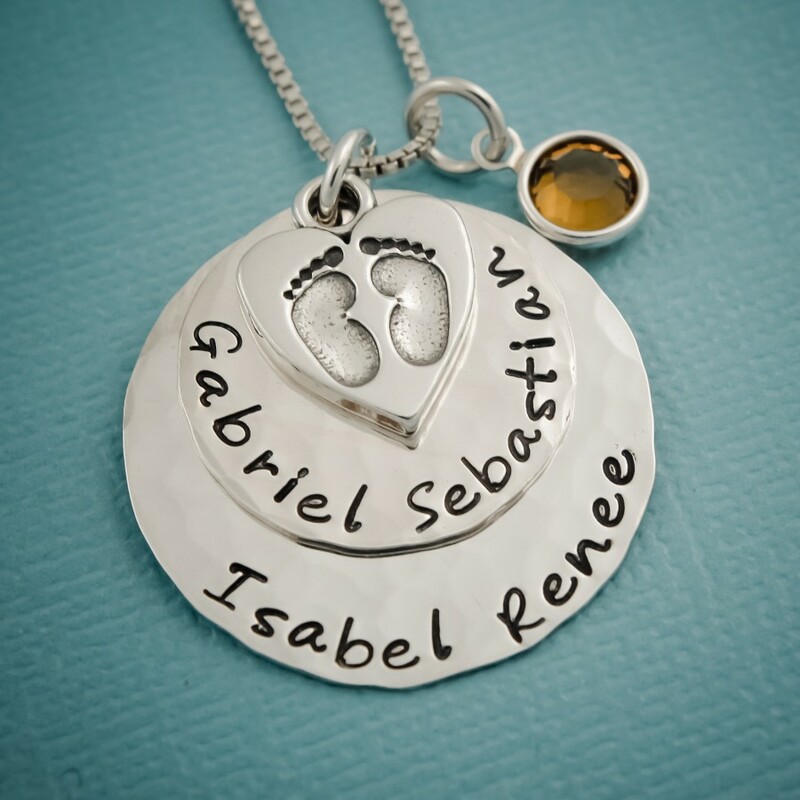 Precious baby footprints necklace hand stamped with your children's names and/or birth dates. 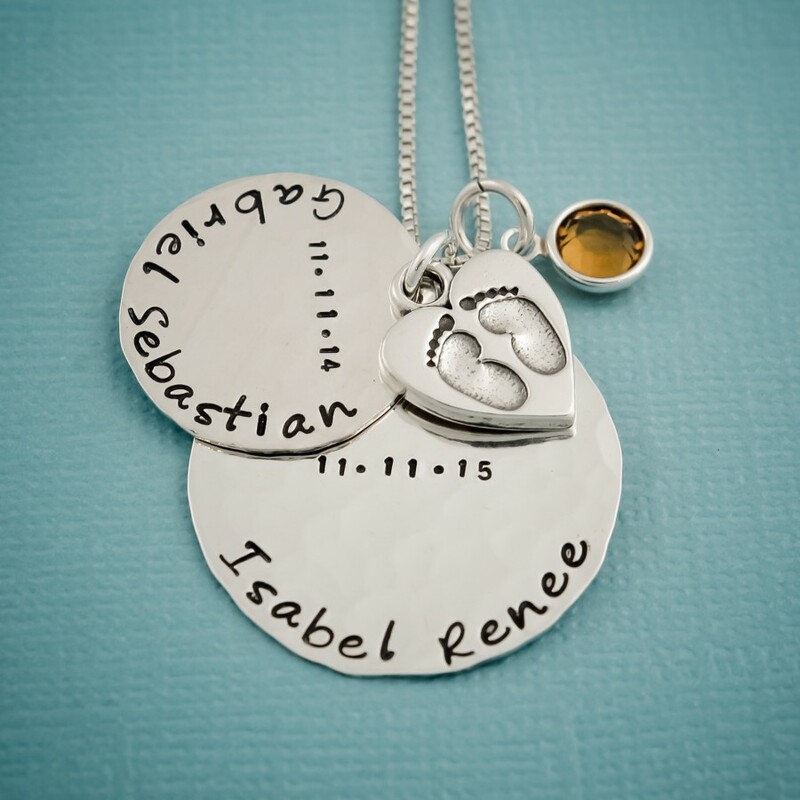 Choose from a single disc, or up to 3 discs. 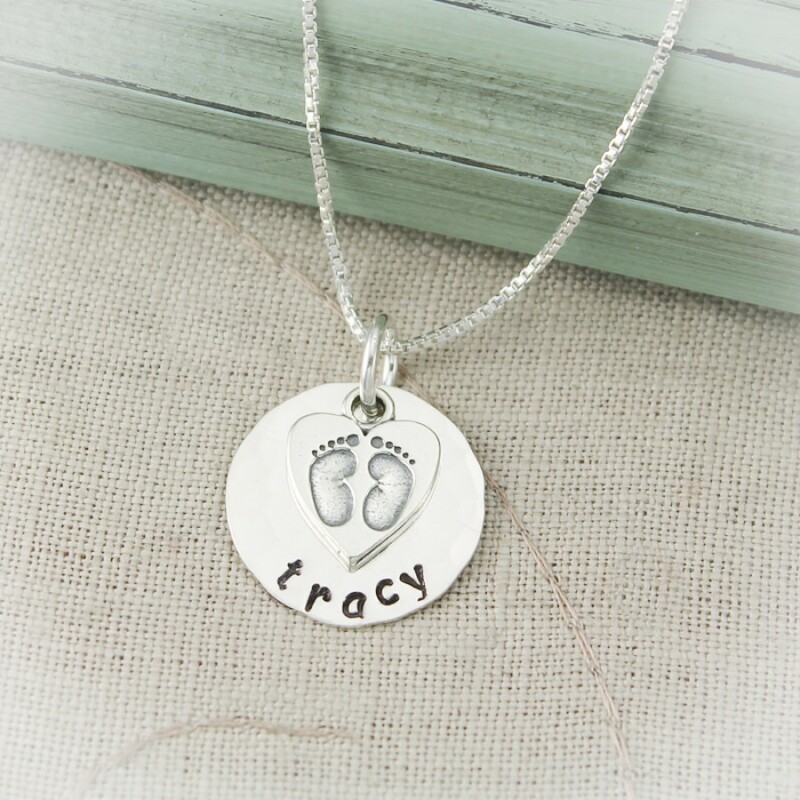 An adorable sterling silver baby footprint charm adorns the top of the pendant. 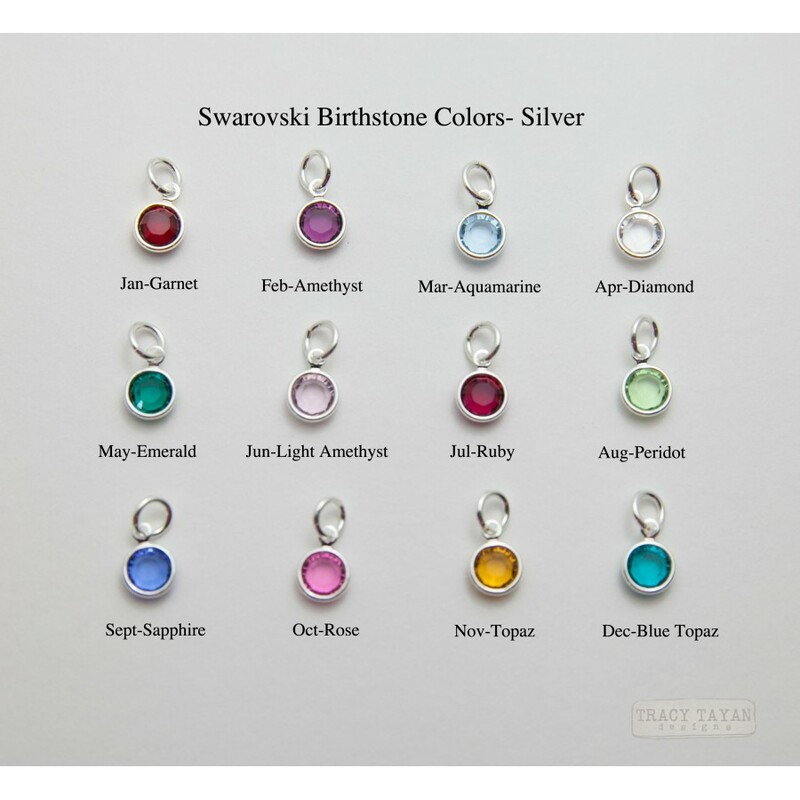 Add birthstone charms to represent each child. 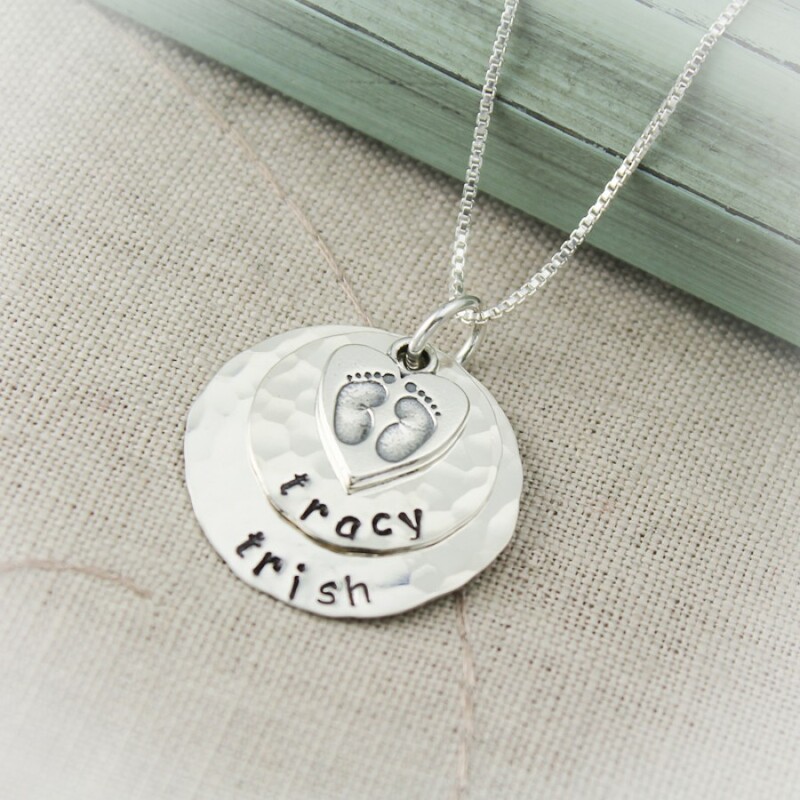 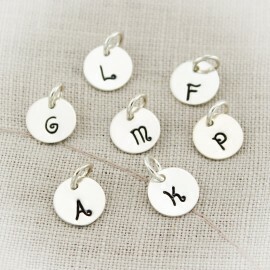 Sterling silver hammered disc, hand stamped along the bottom edge with your personalization. 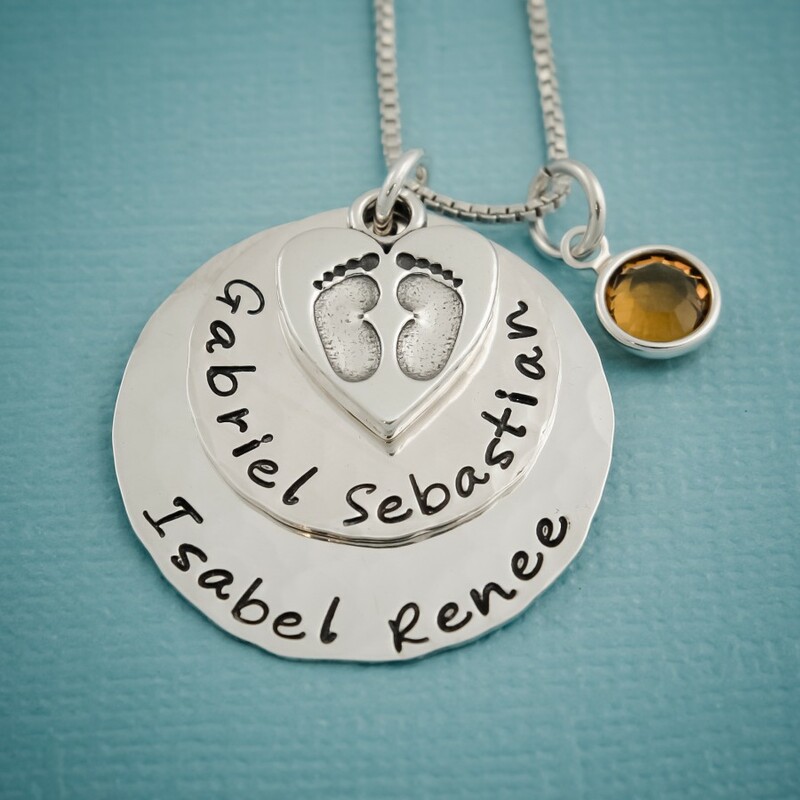 An adorable baby footprint heart sterling silver charm adorns the top of the discs.